IF YOU ARE LOOKING FOR VERSATILE AND COST EFFECTIVE ADVERTISING HAVE YOU CONSIDERED BANNERS? Versatile? Economic? Durable? PVC banners provide an effective way to display your message and when you no longer require it, it can be rolled up and stored away. Myrene Signs can create virtually any sized banner with your required design. 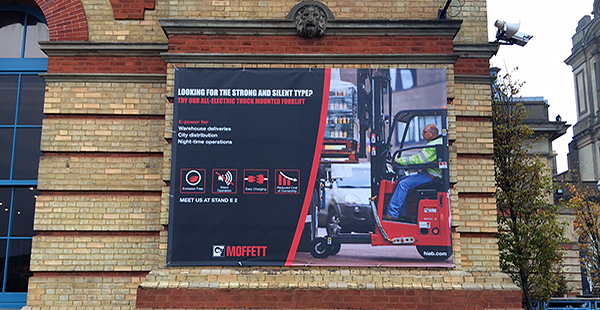 From small banners hung over entrance doors to complete building wraps creating huge impact, we are experienced at translating your vision onto a banner perfectly suited to it’s purpose. If you are planning an event or have a new item that needs promoting, consider the variety of banners we have on offer.